あなたは犬を靴を身に着けるべきである考えるか .I was wondering how you, pet parents, feel about dogs wearing shoes? We have never put shoes on our dogs before but they were so cute we could not resist. We at first thought the idea of unheard of but later changed our minds as we got more use to the idea. It helps to try it on for a few minutes while supervised by parents everyday for a while before they get use to it and stop trying to chew it off. It’s just like humans, breaking in a new pair of shoes is not fun! We wear shoes to protect our feet. I suppose if we did not wear shoes, our feet would be different, too. 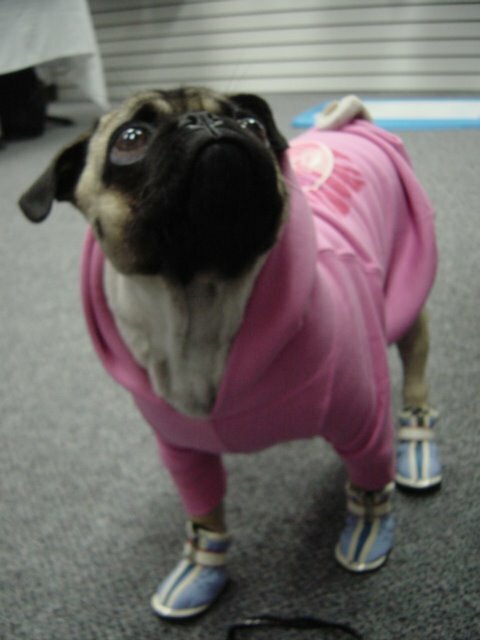 Shoes protect the dogs paws as well as look fashionable so why not? Just make sure it’s the right size as the wrong size may cut off circulation. I found this article that basically read to me like why not shoes for the city dogs, too?